Fulcher admits that the functional art at his show can be expensive but that’s because it is exceptionally high in quality. “Sometimes I tell people I run an heirloom show, because the items people buy here are going to last for generations,” says Fulcher. Each artist pours a remarkable amount of time into their creations which means that buyers will see the most out of their investments. There are more than 50 artists in total at the Great Western Living & Design Show, ranging from fine arts painters to wood carvers to leathersmiths. This year, there will be ten booths celebrating the art of Plains Indians, with performances on Thursday by Native American dancers, drummers, and singers. Other attractions include musical performances by Sam Platts and the Kootenai Three on Friday and the yearly reunion of Pollo Loco on Saturday. To round off your Western experience, come to Cowboy Church on Sunday morning. And the Lions Club will have a pancake breakfast, a new event this year. “All of our performances and events are free and they don’t conflict with what the Russell Museum is doing,” says Fulcher. 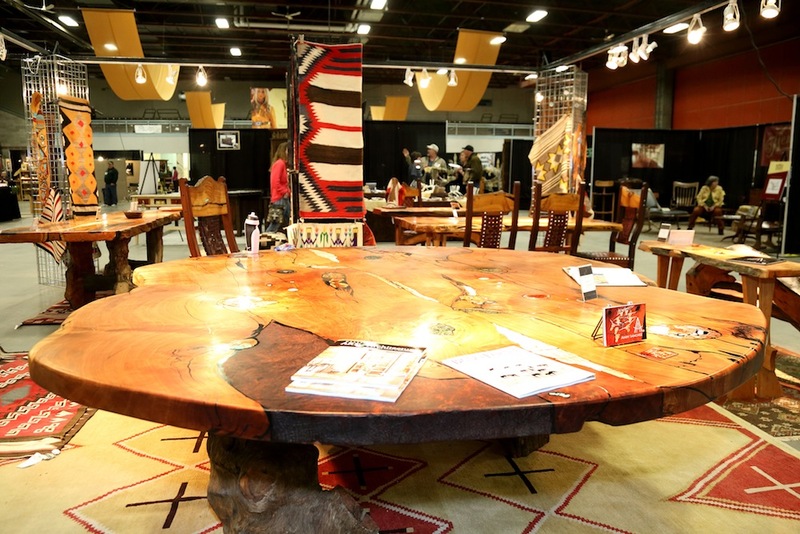 The Great Western Living & Design Show is again being held at the Four Seasons Arena at the Great Falls Expo Park, the largest facility for a show during Western Art Week. “The Four Seasons Arena allows us to have a roomy, casual atmosphere for our artists and visitors,” says Fulcher. Unlike some art shows, where guests have to maneuver in and out of thin hallways and crowded rooms, the openness of the Great Western Living & Design Show allows visitors to feel relaxed while roaming the many artists’ booths.